Kind time of the day, dear artists! In today’s drawing lesson we’ll show you how to draw a Chevy truck. As you know, this car is called Chevrolet Task Force – one of the most famous pickup trucks of the mid-twentieth century. 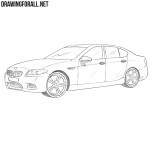 The principles of drawing in this lesson are exactly the same as in other our drawing lessons about cars. 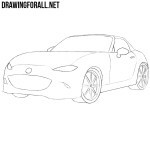 So let’s first sketch out the basic outline of the body, which consists of a cabin and box. 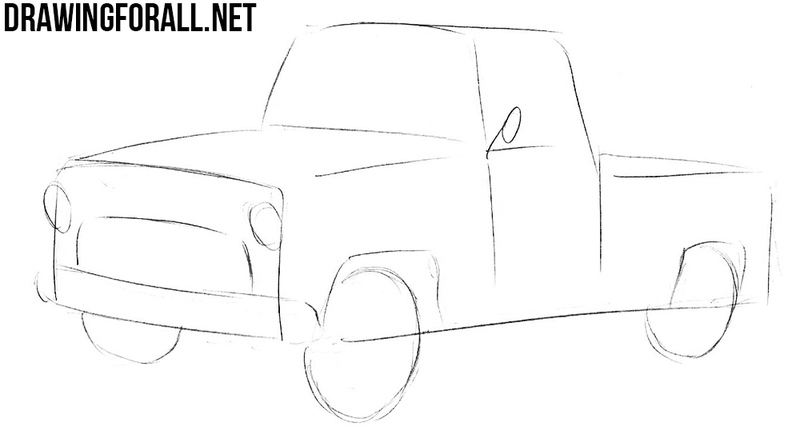 Let’s add some basic details on our pickup truck. 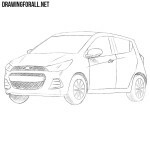 In the front part we sketch out the round headlights, a radiator grille and bumper. Next, we outline the wheels and the rear-view mirror. Now let’s move on to the details. 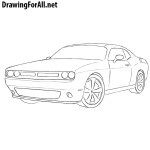 Carefully draw out the headlights and radiator grille between the headlights. 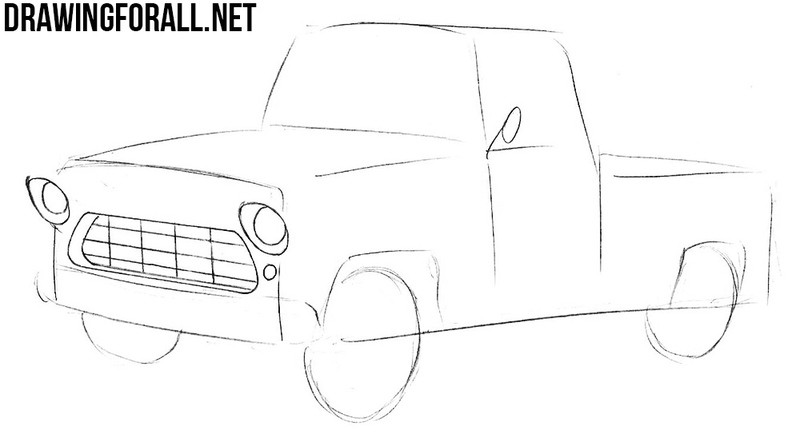 Let’s go down a bit and draw a straight metal bumper. Now get let’s move a little higher and draw a line of the hood and logo on a front part of the hood of our Chevy truck. Let’s go to the cabin of our Chevy pickup truck. Carefully draw the roof and the lines of the windows. Do not forget to draw the rearview mirror and remove all unnecessary lines. 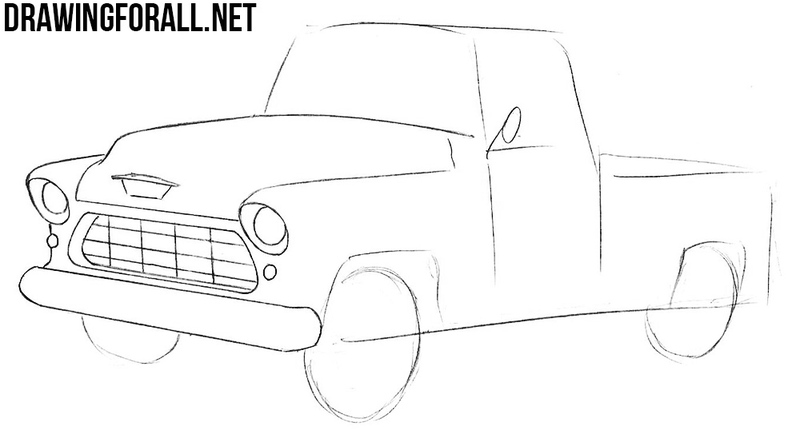 Now we draw out the door, handle and the lower edge of the body of our pickup truck. 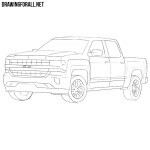 Accurately draw out the box of our Chevy truck erasing all unnecessary guidelines. 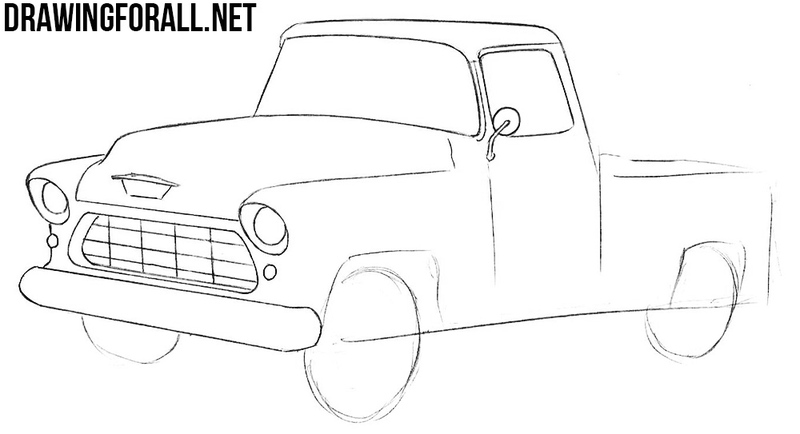 And on the last step of the lesson about how to draw a Chevy truck we draw out the wheels and arches. 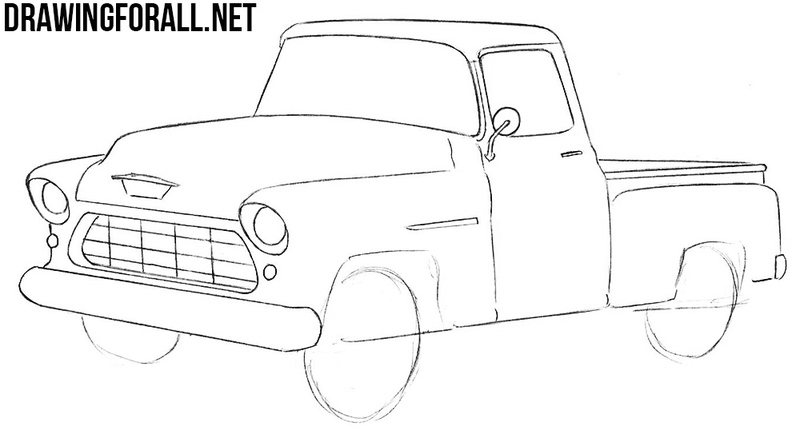 Please note that we are drawing a Chevy truck of the twentieth century, so that the rims here should be of the old style. So, dear friends, the drawing lesson has come to an end. 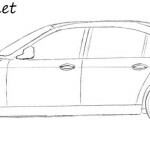 If you like it, do not forget to join us on social networks and share this drawing lesson with your friends.